V12 Multi is the all-in-one vitality package incorporating a full spectrum of inorganic, amino acid chelated nutritional elements. 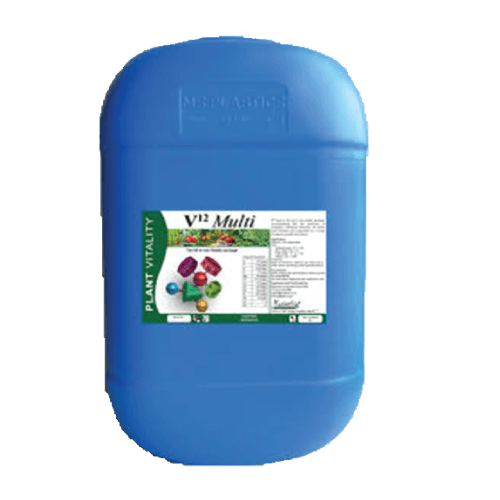 Ideal for use when crop is under stress and during critical growth phases. N, P and K plus a full range of micronutrients. Added vitamins for combatting stress. An A-Z nutritional package for use as a tonic during key developmental phases to ensure optimum nutrient availability or to aid recovery during or after stress.